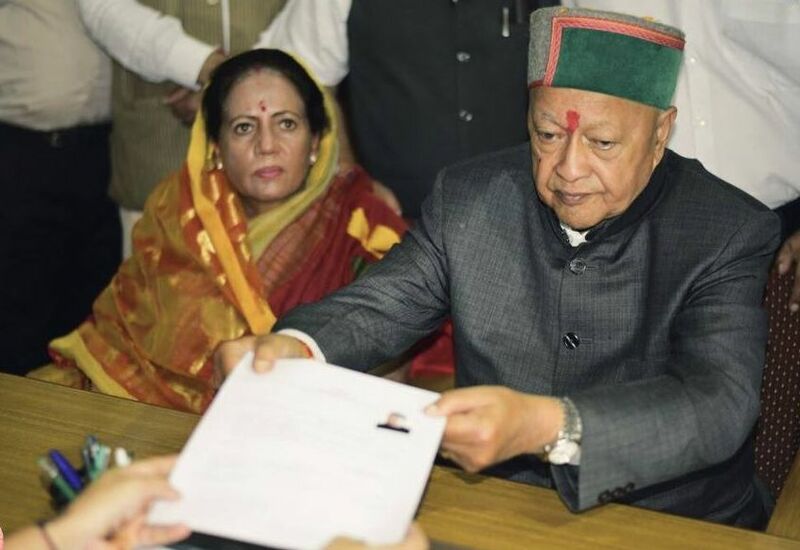 Veteran Congress leader Virbhadra Singh today filed his nomination from the Arki Assembly constituency in Solan district. Singh had vacated the Shimla (rural) seat for his son Vikramaditya Singh and shifted his constituency to Arki. Hundreds of supporters and party workers greeted the Chief Minister outside the office of the assistant returning officer. 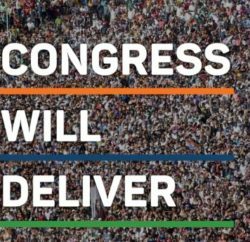 After filing his nominations, Singh said the Congress would contest the upcoming elections on development plank and return to power with comfortable majority. Today, 72 other candidates also filed their nominations for the state Assembly elections. In Bilaspur district, JR Katwal filed his nomination as BJP candidate from Jhanduta constituency. In Mandi district, Gulab Singh Thakur filed his nomination paper as BJP candidate from Jogindernagar and Kaul Singh Thakur filed his nomination paper as INC candidate form Drang. Jai Ram Thakur filed his nomination paper as BJP candidate from Siraj, Inder Singh filed his nomination paper as BJP candidate from Balh, Rakesh Kumar filed his nomination paper as BJP candidate from Sundernagar and Vinod Kumar filed his nomination paper as BJP candidate from Nachan. In Una district, Kuldeep Kumar filed nomination as INC candidate from Chintpurni Assembly Constituency and Balbir Singh as BJP candidate from Chintpurni Assembly Constituency. Rajesh Thakur filed his nomination paper as BJP candidate from Gagret. In Shimla district BJP candidate Shashi Bala filed her nomination from Rohru Assembly Constituency. 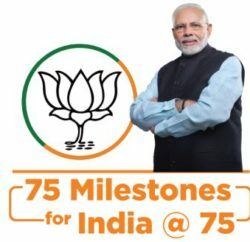 In Kangra district, Sanjay Rattan filed his nomination paper as INC candidate from Jawalamukhi, Ravinder Singh Ravi filed his nomination paper as BJP candidate from Dehra, Kishori Lal filed his nomination paper as INC candidate from Baijnath, Arun Kumar filed his nomination paper as BJP candidate from Nagrota, Ravinder Kumar filed his nomination paper as BJP candidate from Jaisinghpur, Vipin Singh Parmar filed his nomination paper as BJP candidate from Sulah, Kishan Chand filed his nomination paper as BJP candidate from Dharamshala. Gurkha community leader Ravinder Singh Rana also filed his nomination paper as Independent candidate from Dharamshala. Reeta Devi filed her nomination paper as BJP candidate from Indora, Rakesh Pathania filed his nomination paper as BJP candidate from Nurpur, Sujan Singh Pathania filed his nomination paper as INC candidate from Fatehpur. Former BJP leader Rajan Sushant also filed his nomination paper as Independent candidate from Fatehpur. In Sirmaur district, Gangu Ram Musafir filed his nomination paper as INC candidate from Pachhad assembly constituency, Balbir Singh filed nomination as BJP candidate from Renuka and Dr Rajiv Bindal filed nomination as BJP candidate from Nahan assembly constituency. In Hamirpur district, Inder Dutt Lakhanpal filed his nomination paper as INC candidate from Barsar, Baldev Sharma filed his nomination papers as BJP candidate from Barsar constituency. In Chamba district, Hans Raj filed his nomination paper as BJP candidate from Churah, Jia Lal filed his nomination paper as BJP candidate from Bharmour and Bikram Singh Jaryal filed his nomination paper as BJP candidate from Bhattiyat. In Kullu district, Kishori Lal filed his nomination as BJP candidate from Ani assembly segment and Maheshwar Singh filed his nomination as BJP candidate from Kullu assembly constituency. 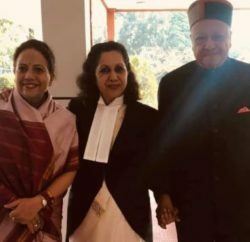 In Solan district, Col Dhani Ram Shandil filed his nomination as INC candidate from Solan constituency and Vinod Sultanpuri filed his nomination as INC candidate from Kasauli constituency. In Lahaul Spiti, Ravi Thakur filed his nomination paper as INC candidate and Sudershan Jaspa filed his nomination paper as Independent candidate.